I'm a big fan of corrugated sheet metal so thought I'd post about this new tin shed house, designed by Australian architect Raffaello Rosselli. Located on a corner in the suburb of Redfern, Sydney, Raffaello repurposed an existing tin shed to create this small office and studio flat. "The humble tin shed is an iconic Australian structure," he explains. "As the only remaining shed in the area it is a unique reminder of the industrial past." The original building was a windowless, narrow double-storey structure on a single-storey residential street. Now it has several Corten steel windows and a simple interior with plywood floors. Personally, I'd like to see the interior furnished and looking a little more cosy in contrast to the tough exterior. But, if you'd like to experience the house for yourself, it is available to rent through airbnb. 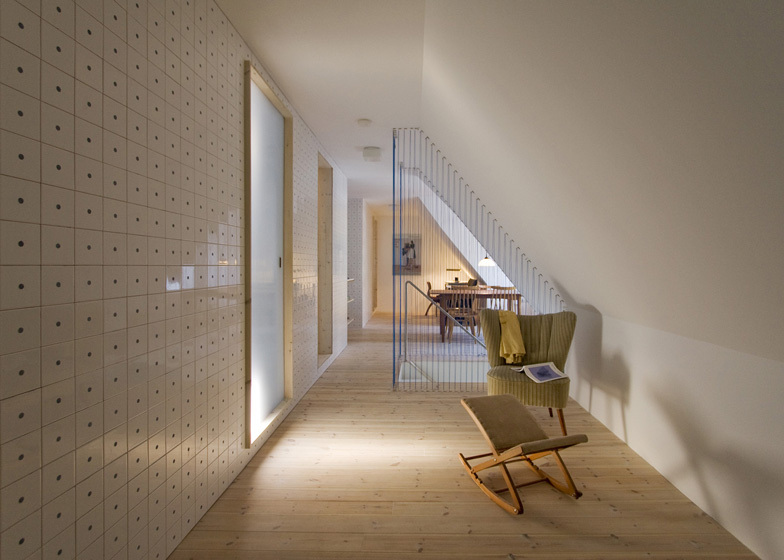 Located on Föhr, a small island in the North Sea, architects Francesco Di Gregorio and Karin Matz have converted the hayloft of an old thatched farmhouse into a beautiful and modern apartment. The spotty tiles, pale pine boards and nest-like wooden beds, make the space feel both minimal and cosy. The bold use of colour is inspiring too, yet it appears subtle when surrounded by a sea of white. The interior is inspired by tradition, as the architects were keen to incorporate the Friesian heritage of the island into the interior. "The space is very much influenced by the place - its history, traditions and nature," says Matz. "In the traditional houses at least one wall in the dining rooms would be covered in patterned tiles, as a way of showing wealth. Since we wanted to bring light into the house, we thought that tiles would be a great reflective material and at the same time something so present in all Friesan houses." They have also embraced the classic Friesian colour palette of moody blues and greens, highlighting these North Sea inspired colours on the tiles, beds and ropes that are suspended from the ceiling. 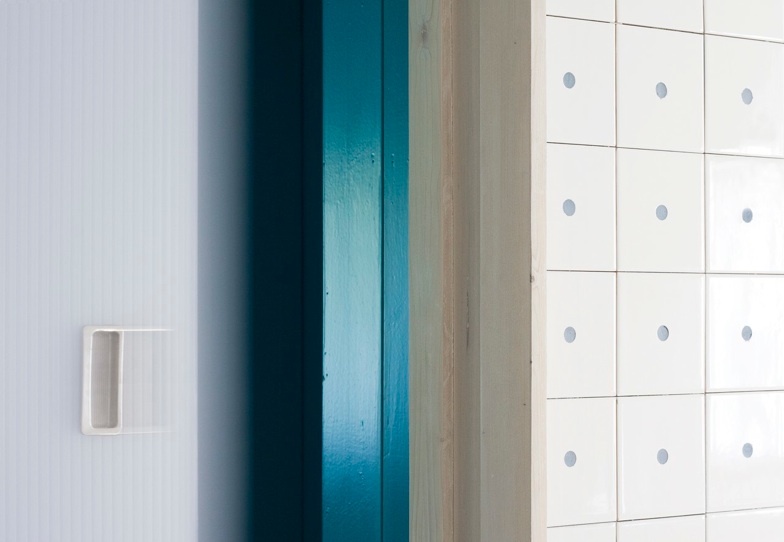 The polka dot grid pattern of the tiles is unusually created by drilling into the centre of each tile and revealing the bright blue grout behind it. 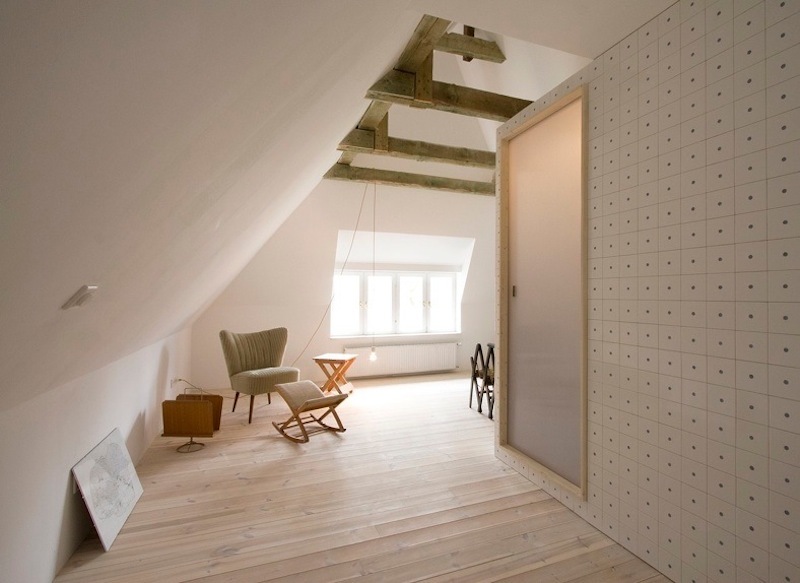 I love this idea of creating pattern through space, however I'm not sure how great it will be to keep clean! I always say that I like to see traditional techniques used in contemporary ways, and this building pushes that idea to its limits. This shop and office complex designed by Dutch architects MVRDV is disguised as an old farmhouse, but its walls and roof are actually made from glass. The building, called Glass House, is in the market square of Schijndel, a small Dutch town where MVRDV partner Winy Maas grew up. The town suffered damage during World War II, and Maas has been campaigning since the 1980s to replace a destroyed structure in the center of the square. Thirty years and six failed proposals later, he has has finally realised his dream by creating a glass structure printed with images of traditional local farmhouses. Using a fritting technique the architects were able to print the images straight onto the glass, creating the illusion of brick walls and a thatched roof. The actual windows and doors don't line up with the printed images, so entrances look like they pass through brick walls and windows appear as semi-transparent blobs. The building is also out of scale with the original farmhouses, so it appears to be two storeys high rather than three. "When adults interact with the building, they can experience toddler size again," say the architects, "possibly adding an element of nostalgic remembrance to their reception of the building." What do you think? Do you like the building? It is certainly a unique way of overcoming the many planning restrictions in rural conservation areas. Everyone is familiar with traditional thatched roofs and although they are pretty, I do find them a little twee. However, these contemporary versions designed by Dutch architects Arjen Reas and Bureau B+B are undeniably striking and they illustrate how traditional vernacular materials can (and should) be updated in modern ways. 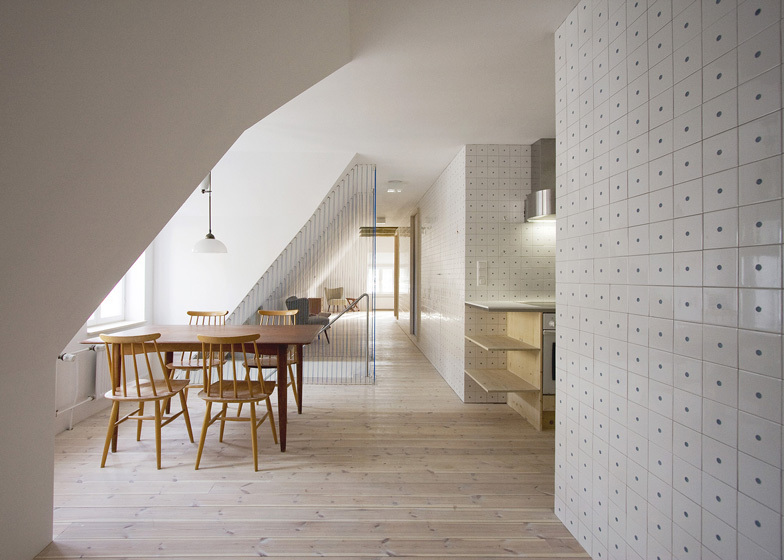 The first two images are of a domestic housing project called Living on the Edge, designed by Arjen Reas. Located on the outskirts of the city of Zoetermeer, the location, between city and countryside, inspired this house that blends urban and rural architecture. The dense fuzzy thatch, applied to every surface of the exterior is sculpted into a graphic interpretation of an archetypal house and punctuated in places by glass and white plaster. 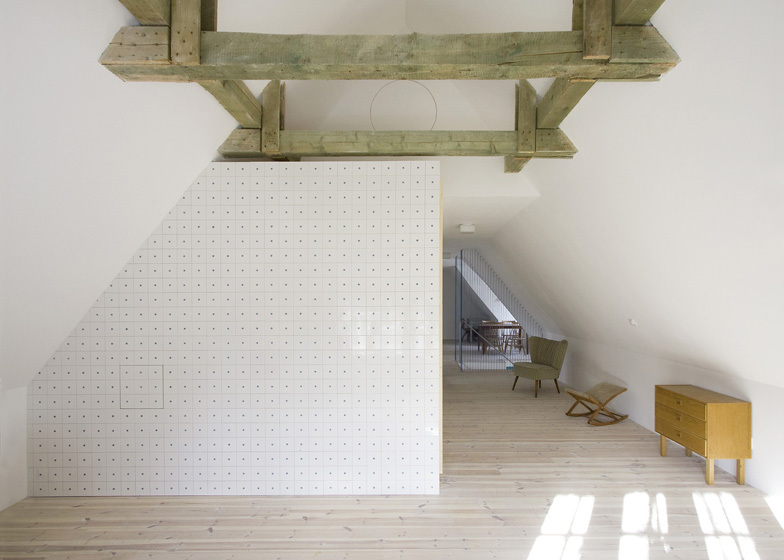 The second two images show Het Entreehuis, designed by Bureau B+B. Also in the Netherlands, this house was inspired by agricultural barns of the local area and features a thatched roof that stops at a neat border of wood. With the thatch set flush inside a wooden frame, this modern interpretation creates a refined aesthetic and forces us to reconsider traditional materials and their usage.